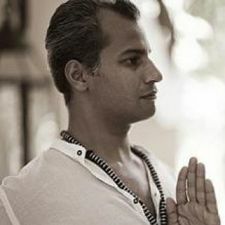 Perumal Koshy, born in New Delhi of South Indian parents from the state of Kerala, began teaching under a Kung-Fu master while living in Los Angeles. A ten year martial arts life through his teens and early twenties was followed by yoga. This began a yoga journey returning to his ancestral roots of Kerala, India and then England, Italy and Morocco. These experiences lead Perumal to capture the heart and values of the world’s yoga styles. His method is nothing short of being a practical and easily comprehensible form of Yoga. A method which has been implemented successfully to varying practitioners of hard and soft forms. classes collectively create a whole felt within your entire being.